Here is a photo of teacher wanjiku and her hubby that has left many talking. 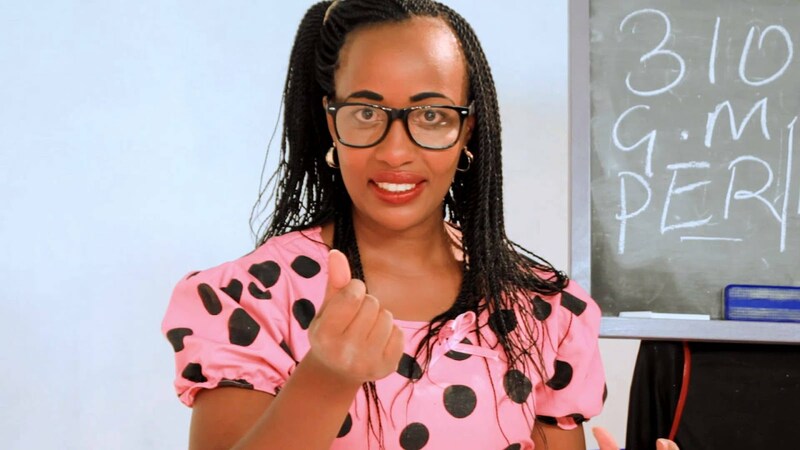 Witty comedian Caroline Wanjiku popularly known as teacher wanjiku decided to surprise her fans with one of her memory photos. Wanjiku who walked down the aisle with the love of her life Victor Ber in 2014, took to social media to refresh the memories of their colorful event that went down two years ago. 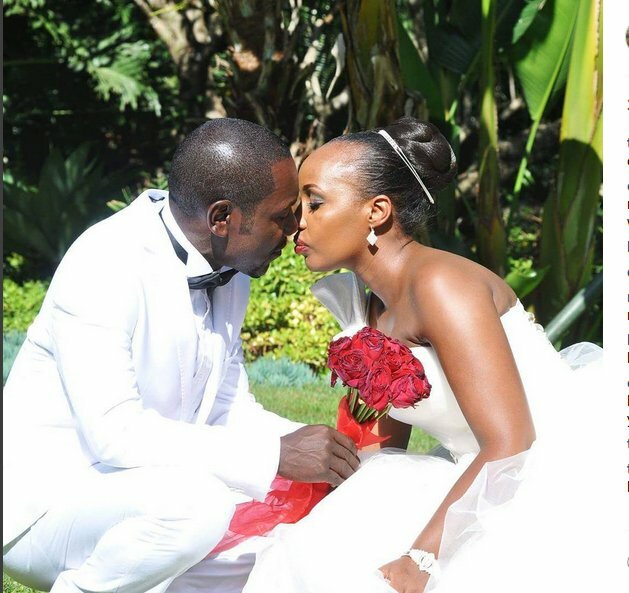 Wanjiku uploaded a photo of herself leaning a kiss to her hubby during their wedding day.